When the community is your classroom, there is no limit to learning opportunities. Studying the history and architecture of Tacoma means doing original research using local archives and working with local historians and architects to visit and study your subject in person. Studying the influence of Mount Rainier, its glaciers, and its rivers on the development of the region means hiking to a glacier with a glaciologist from a local university and meeting with farmers who depend on the river for their rich, Puyallup Valley soil. Learning about world religions means visiting the Islamic Center of Tacoma, St. Patrick's Catholic church, the Sikh Centre of Seattle, a Methodist AME church, Urban Grace, Temple Beth El – and more. Leadership and community service means creating a mural to bring life and color to a drab alley, and means involvement with meaningful projects that make a positive difference in the community. Capstone projects give each eighth grader a chance to spend a year exploring a passion and completing a service project. 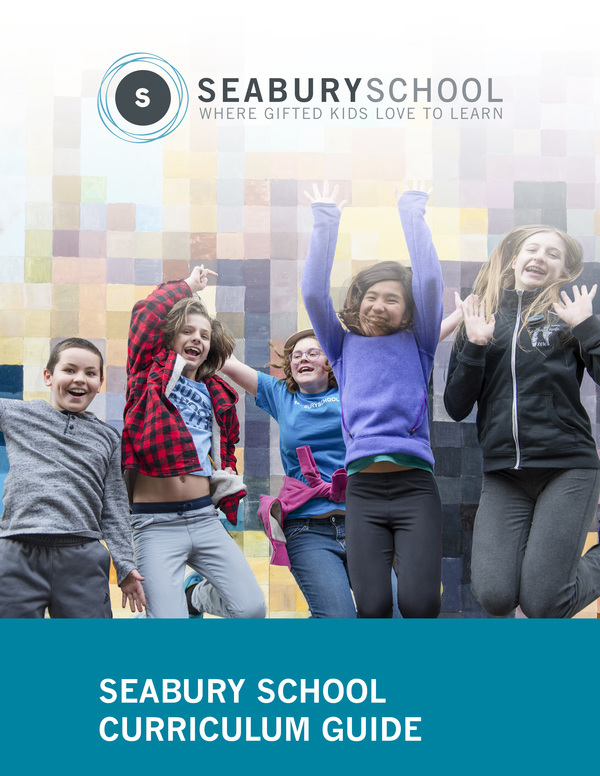 Seabury middle school's program is founded on the belief that intellectually advanced students learn and grow most deeply when they are engaged in projects that are relevant, engaging, challenging and meaningful. Working in collaboration, not only with other middle school students, but with community organizations and local experts, our students have the opportunity to develop leadership, participate in community service, and engage in rigorous studies that truly make a difference in their own lives and in their community. During the middle school years, when students are beginning to develop their sense of themselves in the world, our middle school gives highly capable students the opportunity to learn, lead and serve in ways that are not possible in traditional school programs. 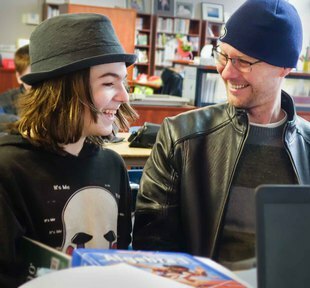 Our middle schoolers use the downtown Tacoma Main Library as well as their laptop computers to access information resources. Students use the Tacoma Center Y for formal physical education activities. Their art teacher is a working Tacoma artist and art experiences include museum visits, but also hands-on experiences such as creating their own piece at a local glass artist's studio. 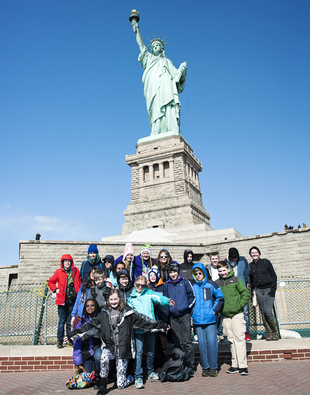 A student who makes the complete journey through Seabury middle school – sixth, seventh and eighth grade – has the opportunity to experience the rich curriculum contained within these three concepts, and three major trips. Students learn about Washington State and Tacoma history as they explore how our community's past helps shape its present and future. The students explore primary source materials from the Tacoma Historical Society and the Northwest Room at the Tacoma Public Library. In science, they study genetics and travel to Mount Rainier and local waterways to discover local geology and environment. Projects include constructing earthquake-safe building models, a Washington virtual road trip and a family oral history project. A virtual road trip project leads to an actual springtime road trip through Washington State, where students will explore historic and scientific sites they investigated. understanding how we are shaped by what is known and unknown. They become deeper thinkers as they tackle the unknowns of the ever-changing global world, discussing international relations, trade, human rights, world religions, philosophy and ethics. Language arts focuses on science fiction and fantasy. Students explore the vast unknowns of science through astronomy, quantum physics, psychology and neurology. The year culminates in a trip to New York City and participation in a Model United Nations conference. Students will explore the historical events and figures that shaped the modern world through struggle, innovation, and the desire to make the world a better place. They move incrementally through time, finding connections between the World Wars and the Holocaust, the development of jazz and changes in American culture, the civil rights movement, and the space race. A partnership with a local senior citizen community provides opportunities for students to meet and talk with those who have lived through some of the events they are studying. Science will look at advances from the 20th century, particularly the dramatic gains in the understanding of microbiology and DNA. The year will culminate with an international trip to Central or South America where they will use the Spanish language skills they have been developing and participate in service learning. 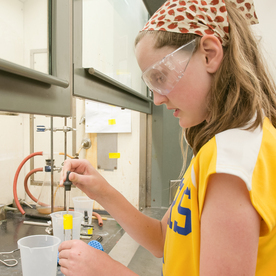 As part of their eighth grade year, Seabury middle schoolers complete a Capstone Project, which requires them to pick a subject of interest, research that subject in depth and complete a community service project around that subject. At Seabury, we all about helping our students discover their passions. The Capstone project is an outgrowth of that. 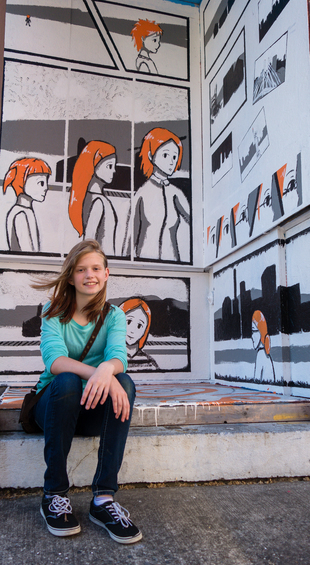 The eighth grader pictured at left is a passionate and gifted artist, whose project was to paint a mural for the city. The painting itself, which you've probably seen if you drive downtown up 11th Street, was just one part of the project. She also had to figure out how to go through the city's arts channels for approval. An eighth grade student this year is making wooden baseball bats to send to Tacoma's sister city, Cienfuegos, Cuba. Stay tuned to hear more about this awesome project. Another student discovered her passion and talent for music at Seabury. In her own words: "My Capstone project was actually a really impactful experience for me, artistically. I had never really pursued songwriting before recording the EP for my Capstone, but it was something that I ended up actually feeling really passionate about and that ended up being a pretty major aspect of my life. I'm a songwriting major at SOTA now, and I feel like if it weren't for the opportunity and the resources that were available to me at Seabury with my Capstone project, I might not have even discovered something that I now really deeply incorporate with my identity."